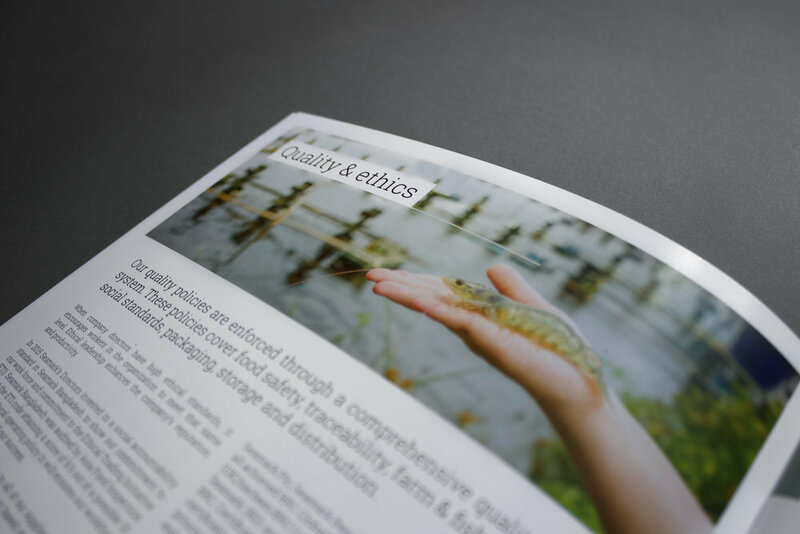 Seamark approached us to design and print manage their product catalogue which is used internationally from trade fairs to local customers. 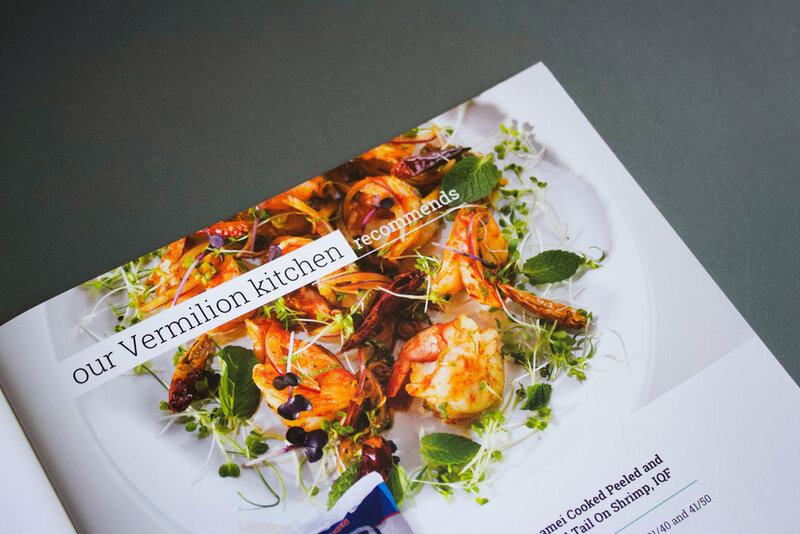 The brochure presents a full product range including packaging, recipes and overarching company information. 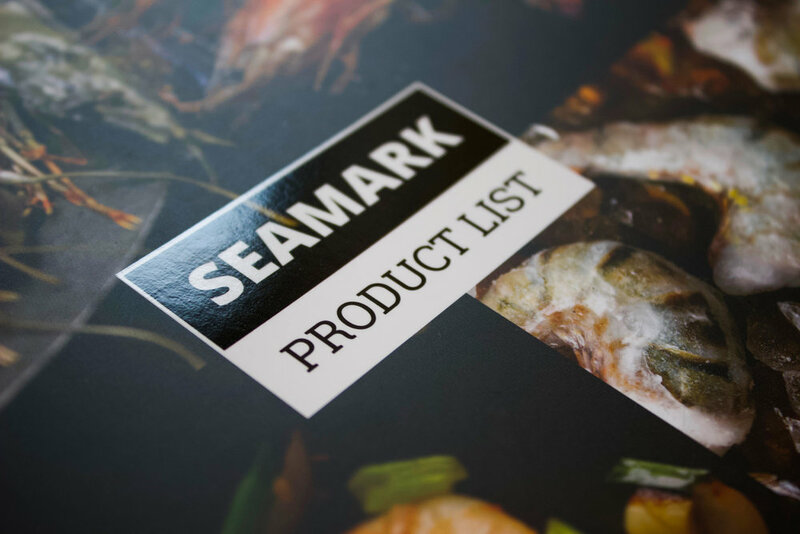 With a vast variety of seafood and frozen foods, the challenge laid in the categorisation and simplification of the information journey. We created tabbed sections for easy navigation plus a detailed colour coded contents guide.